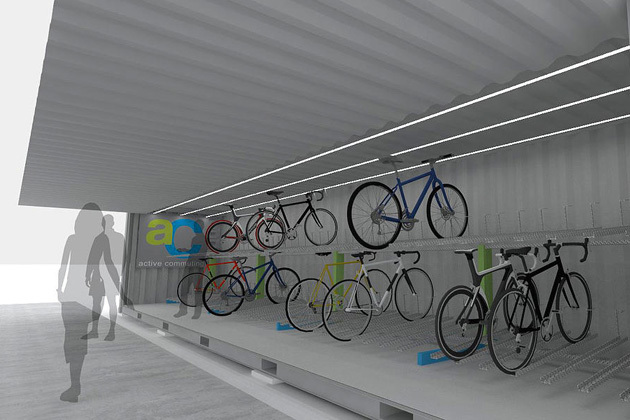 A British company has come up with a neat way for offices with no secure bike storage or employee changing facilities to accommodate those who cycle or run to work. 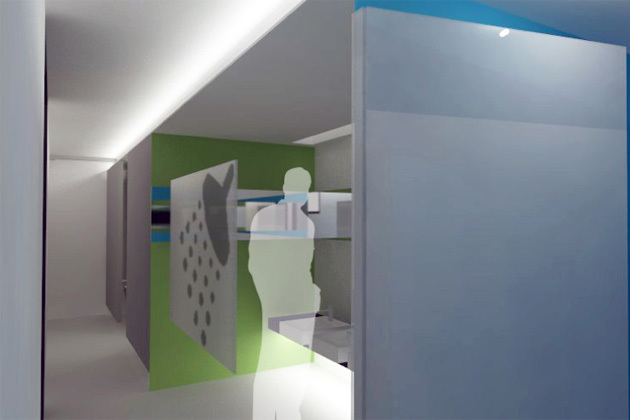 Active Commuting has developed a modular system of units that can be used to securely store bikes, contain showers, changing areas and lockers. Company founder Andrew Rechten came up with the concept after finding himself without somewhere to put his commuting bike in a previous job. “I used to commute between 3500-4000 miles a year from Romford into the City of London, but there were no facilities to store a bike,” Rechten told Cycling Weekly. “So I looked for secure bike parking, somewhere to store my kit and with showers. I went to a firm that had all those facilities but they had 14-month waiting list! 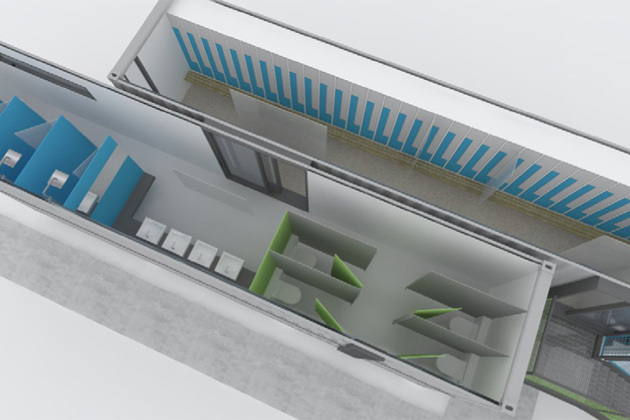 The smallest unit takes up just two regular car parking spaces, yet can accommodate 34 bikes and 80 lockers, with separate changing and shower areas for men and women. With numbers of those commuting to work by bike increasing, the onus is on companies to encourage their workforce by having the full range of facilities for cyclists. Often, companies simply do not have the space available in existing buildings to give over to showers and a bike store but they may have spare ground outside, or be willing to sacrifice a small area of car park. Alternatively, if there is enough interest among cycle commuters in one area, eg a city centre, Active Commuting can create an independent bike storage and showering/changing facility available to users for a monthly subscription fee. The system could equally find a place at rail stations or other public transport hubs.